Why is it Called Quora? Why is it called football? Why is the keyboard organized the way it is? Why is it called a hamburger? Why is toilet paper always white? Why do grades go A, B, C, D, _, F? What are tittles? What is a togue? Why is a “W” not called a “double V? “Why is a pizza box not called a pizza square? What is it like to always be the smartest person in the room? Why is it called Quora? Quora is a privately held company that was founded in June 2009 by two former Facebook employees, Adam D’Angelo and Charlie Cheever. They officially launched Quora to the public one year later. Quora is a question and answer website that allows users to create and answer questions. More specifically, it’s a user-generated knowledge platform that lets users follow other users, suggest edits, share information and rank other people’s thoughts and opinions. Further, they require people to use their real names, not screen names, adding credibility and quality. The company is headquartered in Mountain View, California. Google is focused on helping consumers discover things, Quora is more focused on entertainment through human curiosity. See –> which superpower is better: the ability to grow your fingernails extremely fast or the ability to transom into a reclining chair? Why? Google has self-driving cars, wifi balloons, drones, glasses, smart contacts, music, operating system, email client, streaming device, videos, books, maps etc. Quora has… Quora. D’Angelo explains: When you look at Google, its job is to find you the perfect web page. There are a lot of cases when you want to know something and a list of websites isn’t ideal. For example, If you’re looking for an overview, Wikipedia usually has a good, edited aggregation of content. So one way of solving these cases is to pull all of this information out of people’s heads and get it into a useful format that can be shared. Why is Quora called Quora? Cheever and D’Aneglo were inspired by human curiosity and connectivity. They wanted to build a beautiful, yet simple knowledge platform that let people anchor their spinning curiosity. They saw a gap in the marketplace for a user generated site that focused on contributor reputation, quality and sharing. Often compared to Yahoo! Answers but more innovative and simply better. Cheever was still hesitant about the idea. He made a conscious effort to write down everything he was curious about in a day. This simple exercise exposed and validated the reality of internal curiosity. Inspired by an article written by Zillow and Expedia founder Richard Barton titled “Syllables, Scrabble Letter and Picking a Brand Name,” they developed a meaningful criteria (image below) for their brand name. After coming up with a list of 1,000 names, they narrowed it down to 5. The closest rival was “Quiver,” however a close friend of Adam’s thought it sounded a little 2.0 (ish). Quora starts with a Q (question) and ends with a A (answer). If you really zoom in, you’ll notice that it literately abbreviates Question or Answer (Qu or A). It’s unclear why they didn’t add double Os like Yahoo, Facebook and Google for good luck. Perhaps they wanted to be different. 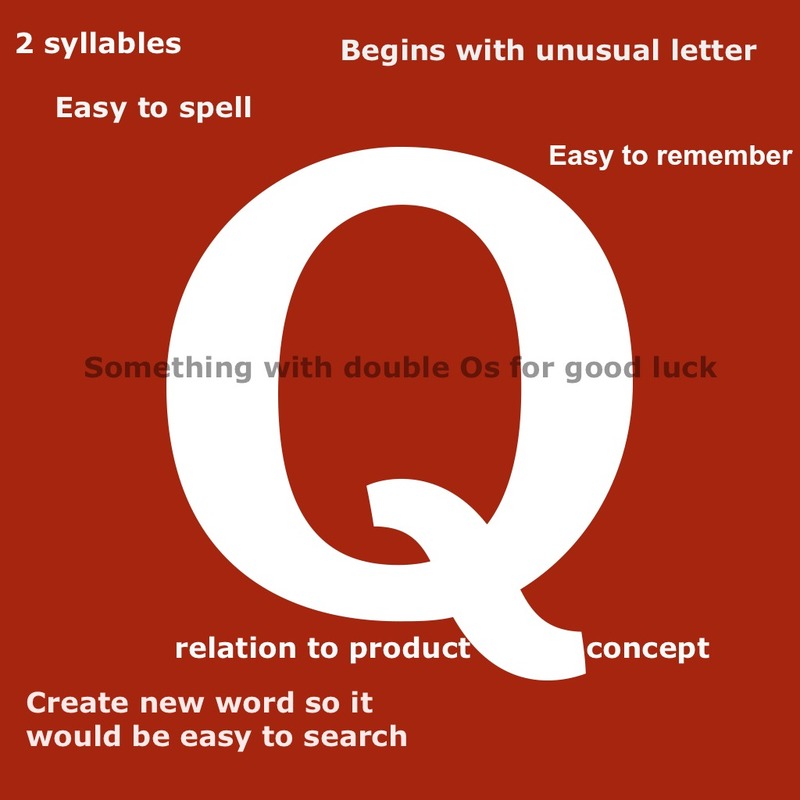 Lastly, Quora was derived from Quorum, meaning a group of people coming together to reach a consensus. It’s a brand name that comes with a compelling story. It’s genius! What is it like to hug a penguin? Does it turn girls off to find out that a guy has a morbidly obese cat? What is the nicest thing you’ve ever done that nobody knew about until you revealed it here? Honestly before this post, I had never really explored Quora. However now, it’s clear why people are obsessed with it. Thanks for reading why is it called Quora.